Blowout Sale! 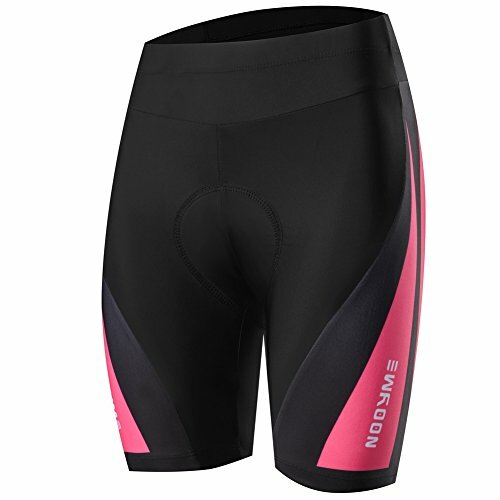 Save 59% on the NOOYME (Mid-Year Sales) Womens Bike Shorts with 3D Gel Padded Bicycle Riding Cycling Short for Women (Large, Bright Rose) by NOOYME at Joes V Cycle. MPN: WCS-wo11-BrightRose-L. Hurry! Limited time offer. Offer valid only while supplies last. Designed: Effective to prevent muscle strain, reduce wind resistance and reduce chafing wind. Flatlock seams to avoid friction and the skin irritation. Non-slip silicone legs grippers and elastic to keep shorts stay in place while riding. Reflective strip on back leg adds visibility. Chamois Padded: 3D structure, multi-layer, super light high breathable and comfortable. Specially designed for women and long-distance riding.